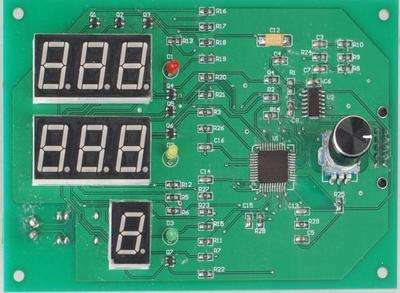 HDI board is a kind of circuit board with relatively high density distribution using micro-blind embedding technology. HDI plate has inner line and outer line, which can be connected internally by drilling and metallization. HDI plate is generally manufactured by the product layer method. The more product layers, the higher the technical level of the plate. The common HDI plate is basically a sub-integrated layer, and the high-order HDI adopts the stacking technology for two or more times, as well as advanced PCB technology such as overlapping holes, electroplating holes, and laser direct punching. Simple a multilayer printed circuit board (a 6 layer board, laminated structure of (1 + 4 + 1)) this kind of panel is the most simple, namely a multilayer not buried in hole, a pressing is complete, although is a laminated plate, its manufacturing is very similar to the conventional multilayer laminated at a time, only the follow-up with laminated different is need laser drilling blind holes, and other processes. Since this laminated structure has no embedded holes, a core plate can be made in the second and third layers in the fabrication. The fourth and fifth layers can be made as another core plate. The outer layer plus the medium layer and copper foil, and the middle layer is compacted after the first lamination. The conventional HDI printed boards of primary laminate (primary laminated HDI 6-laminated plates with overlapping structure (1+4+1)). The structure of such plates is (1+N+1) (N = 2,N even number). This type of primary laminate, in addition to having blind holes, also has embedded holes. If the designer can convert this type of HDI into the simple primary laminate of type 1 above, it will be beneficial to both the supply and demand sides. We have several customers who have been advised to change the laminate structure of type 2 regular primary laminate to simple primary laminate similar to type 1. The normal HDI printing plate of secondary product layer (HDI 8 layer of secondary product layer, superimposed structure is (1++1+4+1+1)). The structure of such plate is (1+1+N+1+1 +1) (N = 2, N even number). It is mainly because there is no superimposed hole design and the production difficulty is normal. If the embedded hole optimization of (3-6) layer can be changed into the buried hole of (2-7) layer as mentioned above, the one-time compaction can be reduced and the process can be optimized to reduce the cost. This type is the example below. Other conventional secondary horizon of HDI PCB (secondary product HDI eight layer plate, folding structure as (1 + 1 + 4 + 1 + 1)) this kind of structure of panel (1 + 1 + N + 1 + 1), (N 2 or higher, N even number), although it is secondary structure of laminated plate, but the position of the buried hole not in (3-6) between the layers, but between (2-7) layer, the design can reduce pressure, make secondary horizon HDI board piece, need three pressing process, optimization for two pressing process. And this kind of panel, there is another difficult production, (1-3) layer of blind holes, broken down into (1-2) and (2-3) system for blind hole, you need to (2-3) layer of the blind hole made with filling holes, which is the secondary horizon in blind holes made of hole filling process is usually the cost of making hole filling process of HDI, than not fill hole technology into the high, difficulty also bigger obviously, so the conventional secondary laminated board, in the design process, proposal as far as possible do not use fold hole design, and try to (1-3) blind holes, into stagger (1-2) blind hole and buried (2-3) (blind). Some experienced designers can take this refuge in simple design or optimization, reducing the cost of their products. Another kind of irregular secondary horizon of HDI PCB (HDI secondary deposition layer 6 layer board, folding structure as the (1 + 1 + 2 + 1 + 1)) this kind of structure of panel (1 + 1 + N + 1 + 1), (N 2 or higher, N even number), although it is secondary structure of laminated plate, but also has a cross-layer blind hole, blind hole depth ability increased significantly, (1-3) layer of blind hole depth of conventional (1-2) layer of double blind holes, this kind of design of customer, has its unique requirements, (1-3) across the layer is not allowed to be blind holes made blind hole pile hole type (1-2) (2-3) blind holes. In addition to the difficulty of laser drilling, the subsequent copper deposit (PTH) and electroplating are also difficulties. 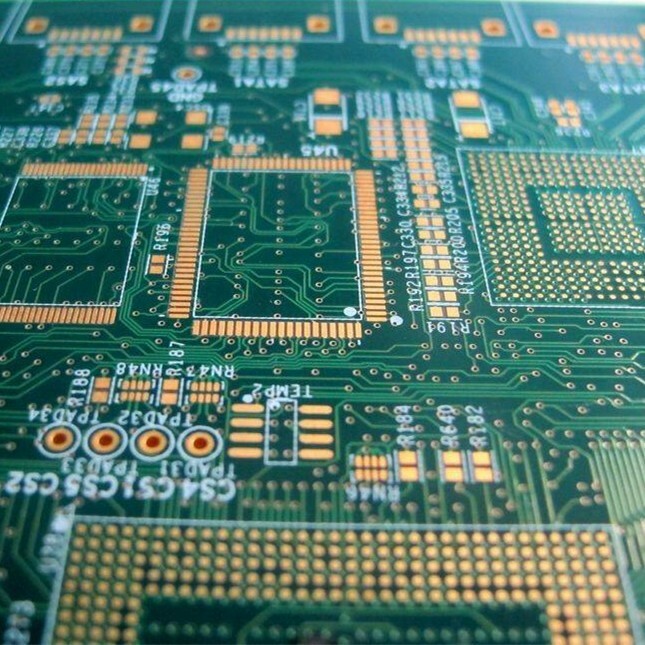 Generally, PCB manufacturers without certain technical level are difficult to make such plates, and the production difficulty is much higher than that of conventional secondary laminates. This kind of design is not recommended, except for special requirements. The HDI of the secondary product layer of the blind hole design, and the overlapping blind hole above the buried hole (2-7) layer. (HDI 8 laminates with a superposition structure of (1+1+4+1+1)). The structure of such plate is (1+1+N+1+1), (N = 2,N even number). It is mainly the laminated hole design, which replaces the cross-layer blind hole design of the above point. This design is mainly characterized by the need of overlapping blind holes above the buried hole (2-7), which increases the difficulty of production. The design of the buried hole in the (2-7) layer can reduce the layer pressure once, optimize the process and achieve the effect of reducing cost. The secondary product layer HDI (the secondary product layer HDI 8 layer plate is designed as (1+1+4+1+1)). The structure of such plates is (1+1+N+1+1), (N = 2,N even number). 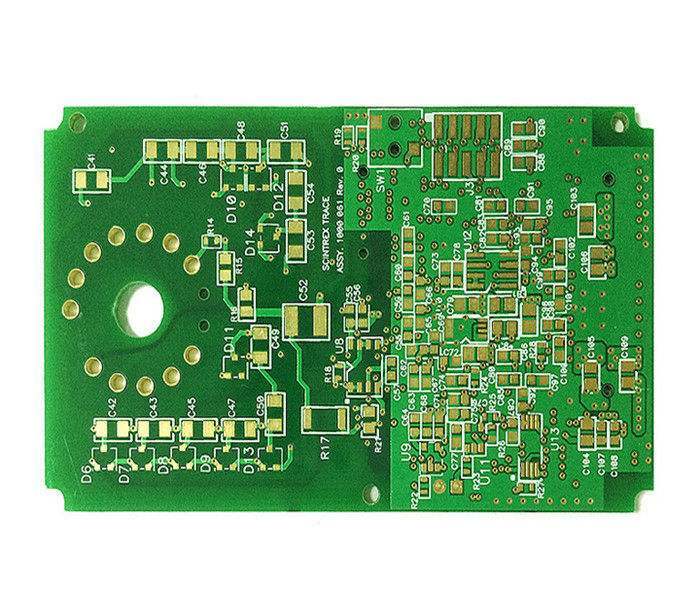 Mainly has the cross layer design of blind hole, production difficulty is higher, there is certain technical ability of HDI PCB factory is difficult to make such secondary laminated board piece, if the cross blind holes (1-3) layer, optimization into (1-2) and (2-3) blind holes, blind holes, the split is not the foregoing points 4 and 6 point the pile hole split method, but stagger the blind hole method of split, will greatly reduce the production cost and optimize the production process. Other HDI board of laminated structure optimization of multilayer PCB three times or more than three times above the horizon of PCB, according to the above provide the design idea, can also be optimized, the complete three horizon HDI board piece, the whole production process, complete is need to 4 times, if you can consider similar above a laminated plate or secondary laminated plate parts design train of thought, can reduce the production process of a pressing, so as to improve the plate yield. Among our customers, there is no shortage of such examples. The laminated structure designed at the beginning needs 4 times of compaction. After optimization of the laminated structure design, PCB production only needs 3 times of compaction to meet the needs of the three-times laminated plate.